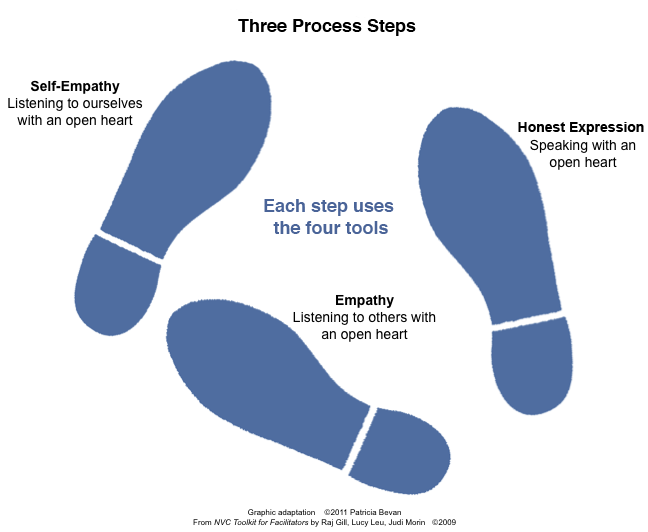 The process of Nonviolent Communication is often considered a dance with three steps. The steps provide guidance in our moment-to-moment interactions. We move from one step to another in a dance of connection depending upon how we perceive the flow of a situation. exploring ways we might ask for what we need and value. being open to specific strategies they might have for getting what they need and value. requesting how we would like our needs to be met.